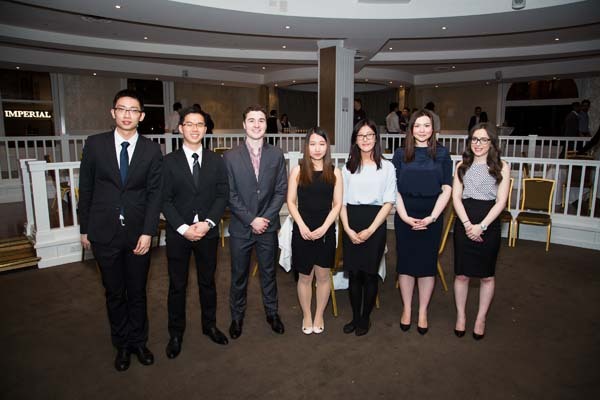 FBE’s Career Mentoring Program (CMP), available to both BCom and Masters students, celebrated the 2017 installment with a celebratory end-of-year function. 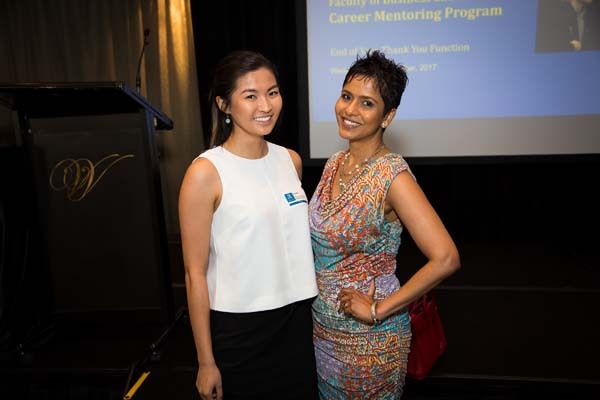 The 2017 Career Mentoring Program (CMP) ended on a high note with its flagship event, the End-of-Year Function, held at Melbourne's historic Windsor Hotel. This year, the CMP welcomed its largest cohort to date, with over 330 mentees and 220 plus mentors participating in the program. The atmosphere was vibrant – mentees relished the opportunity to catch up over drinks and canapes before the looming exams. It was wonderful to see many of the attendees chatting enthusiastically having connected at other events earlier in the year. This sentiment was shared by many other mentees – all commenting that over the course of the program, the genuine connections formed, and wealth of advice accumulated made the experience the incredibly worthwhile. Similarly, many mentors appreciated the fresh perspective offered by their mentees, observing that although still students for the time being, they were all well on their way to becoming young professionals. During the function, mentoring pair Ingrid D’Lima and Amy Mao (Master of Management) presented a motivating speech emphasising that which is truly important in life – the close and valuable relationships that you build along the way. “Make real and meaningful connections, because they are what really count,” D’Lima reminded the audience. D’Lima, Talent Acquisition and Development Lead at American International Group (AIG) spoke of the program’s benefit to students, particularly in the power of connections formed: mentee and mentor relationships are mutually beneficial – both parties contribute new and different perspectives on career paths and outlooks on life, providing opportunities to learn from each other. Mao reflected on how the program has helped foster her interpersonal and professional skills, and how her mentor reminded her to always be empathetic when working in a team. She stressed the importance of being more flexible and thinking on your feet at work, as well as making sure not to be overly burdened by old ways of thinking. “Live in the present. Don't let the past or future burden you – embrace who you are in the current moment,” Mao stressed. Personally, what I got the most out of the program was hearing about the experiences of my mentor, Jean-Francois Delvaen, whose range of roles has seen him work in, Strategy at BP to performance art as an actor at Melbourne French Theatre. He has given me ‘sneak peaks’ on what to expect once I enter the workforce. Throughout the year, he also drew on his experiences to provide me with incredibly valuable tips, particularly in areas I have been least confident about, such as public speaking and presenting. The event came to a close with everyone leaving feeling bittersweet about the end of the program, but it has been such an incredible year, and I know I speak for the cohort when I say that I am grateful to the CMP for preparing me for my future career. I would also like to take this opportunity to say a big thank-you to all those who were involved with the program this year, particularly to Student Employability and Enrichment (SEE) coordinators, Tracey, Rachel and Kerry, for creating such fabulous events and working so hard throughout the year – it has been an incredibly enjoyable and enriching experience! the opportunity to talk to us about your next steps.